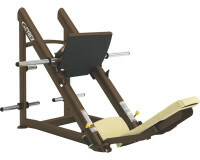 Gives exercisers a 1:2 resistance weight stack on each side with adjustable pulleys. 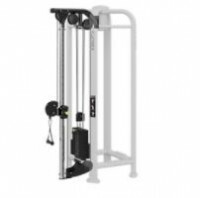 Employs user-defined paths of motion that allow for a nearly endless variety of strength training options that builds balance, stability, and power. 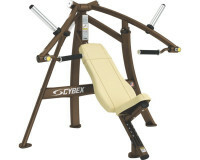 Adjustable pulley design delivers a unique lifting ratio with a 4:1 design for dynamic exercises. Direct linkage system provides a variable resistance profile to ensure proper strength curve throughout the ROM. 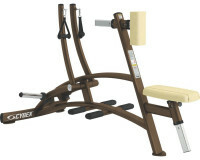 Four-bar linkage mechanism maintains the correct ankle position throughout the motion. 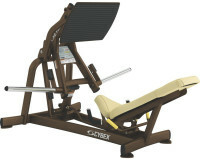 Three position adjustable backrest. Linear bearings allow a smooth, quiet motion and are fully enclosed for safety. Optional 10" (25 CM) Weight Post Kit available for added resistance. 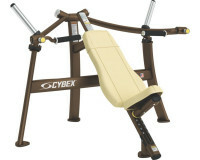 Seat moves with input arm for maintenance of alignment. Knee pads adjust for tibia length and ROM. The 10° diverging pattern allows the arms to comfortably pass to the sides of the torso. 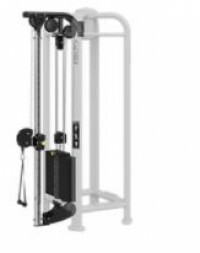 The descending pattern of motion and flexible trailing link handles provide a consistent torque at the joint for highly effective training. Independent arm motion for balanced strength development. Dual foot braces for added stabilization. The 15° diverging pattern provides an exceptional range of motion with consistent torque at the joint. 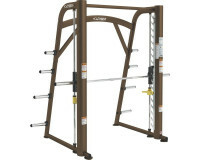 Barbell and neutral grips provide multiple grip choices. Independent arm motion for balanced strength development. The 25° converging pattern provides an exceptional range of motion with consistent torque at the joint. Independent arm motion for balanced strength development. 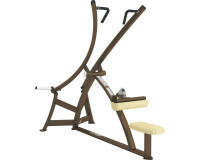 Two-position selectable starting position for a broad range of user size and flexibility. Overhead pivot provides a natural path of motion. Extra-sized grips reduce pressure on the hands for greater comfort when pressing. Open, walk-though design for easy roll through access for benches. 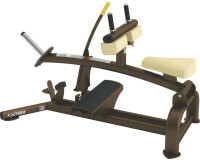 Fifteen-pound take-off weight allows users of all levels the ability to exercise. The 90° path of motion for adaptability to all exercises. 18 bar and catch hooks adjust in four-inch increments.